A wave of violence is spreading over Nigeria. Almost daily, the terrorist group Boko Haram is involved in massacres, kidnappings and bombings. 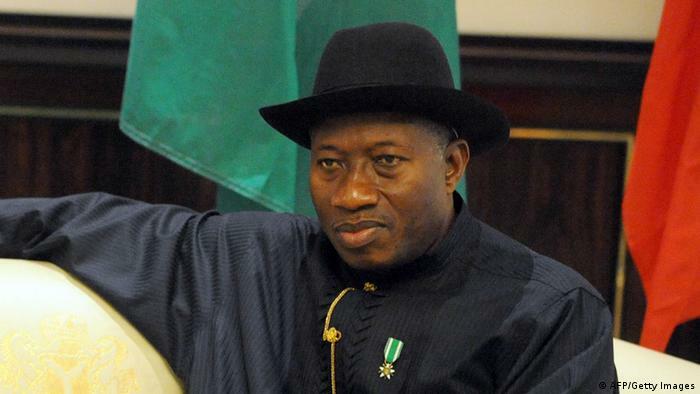 Does President Goodluck Jonathan have control of the country? Never before has the division within Nigeria been as obvious as it is now. The prosperous south which helped make the country the leading economic nation within Africa, has been eclipsed by the north which is sinking further and further into terror and violence. Just days before President Goodluck Jonathan opens the World Economic Forum to high-ranking visitors from around the world in the capital Abuja on Thursday (08.05.2014), more than 200 people were killed in the village of Gamboru in north-east Nigeria – allegedly by members of the Boko Haram terrorist group. Since mid-April, more than 200 school girls have been in the hands of the Islamist extremists. On Tuesday, eight more girls were abducted. More and more Nigerian's are wondering whether their president has the situation under control, or whether he has lost touch with reality. Last Sunday, he caused an uproar when he appeared on television saying he was "happy" the missing school girls were "unharmed." Where he got his information from is unclear. To date there has been no verifiable information about the girls' whereabouts. All that is known comes from a video message by Boko Haram leader, Abubakar Sheakau who threatened: "I will sell them as slaves on the market." Political calculation or denying reality? "Either he is not aware of what is going on," says Hussaini Abdu, from Nigerian NGO Action Aid, a group committed to good governance in the country. "Or, he's being, or the people around him are being, mischievous about the situation, or he is in total denial of the state of insecurity in the country. Or both." Equally as shambolic was the government's information policy in relation to the missing school girls. Immediately following the kidnapping, the department said the military had freed the girls. After that, the government was forced to admit they had no information on the whereabouts of the students. Members of the government in the meantime have even denied the abduction took place at all. 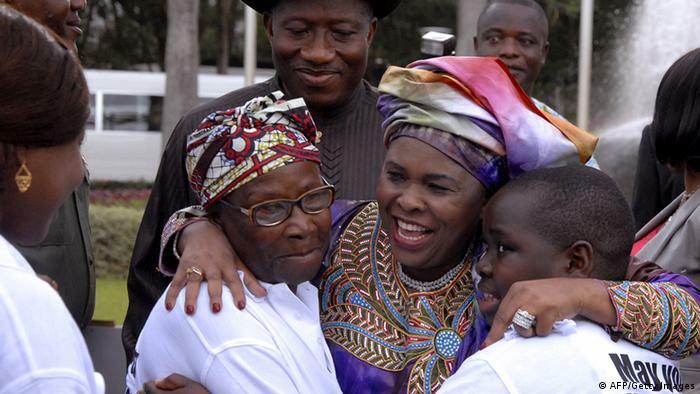 The president's wife, Patience Jonathan, accused some members of faking the abduction in a bid to harm the government. Does Jonathan have the military under control? President Jonathan hails from the prosperous south, he has no idea about the backward and impoverished north, says journalist and Nigeria expert Heinrich Bergstresser. Jonathan delegated the issue to his advisory and the military. "Therefore it is no surprise he says such strange things like he did last Sunday on television. These are strange worlds for him. It's something he has never had anything to do with and something he doesn't want anything to do with," says Bergstresser. Many Nigerian's are also wondering if President Jonathan has the military under control. In Borno state, where the girls were kidnapped from, and the recent massacre occurred, a state of emergency has been in place for the past year. How could Boko Haram kidnap the girls from under the military's nose? "The way Boko Haram has been performing terrorist attacks shows that competent security forces must be involved," says Bergstresser. Several military personnel have already been sentenced by a military court for collaborating with Boko Haram. Nigeria invested a fifth, about 4.3 billion euros ($5.9 billion), of its national budget on the security apparatus. Some members of the military make good money, says Bergstresser. "Cautious estimates suggest about 2.8 billion euros go directly into the pockets of the top people in politics, the military and the police – only a small portion is used to fight the terrorists." Military leaders have no interest in ending the conflict. Political scientist Hussaini Abdu refers to the many decades of military dictatorship Nigeria has behind it. "The military has been in power in Nigeria for more than 35 years. 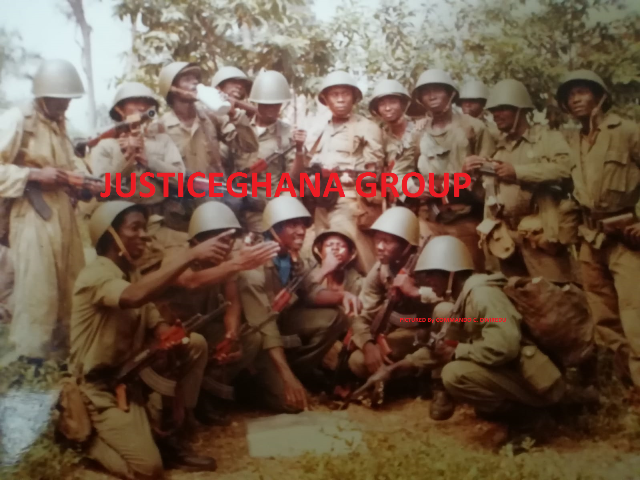 Therefore, a particular military culture has developed over the years, the political leadership of the country is still struggling to control the military or the civil control of the armed forces is still relatively weak." 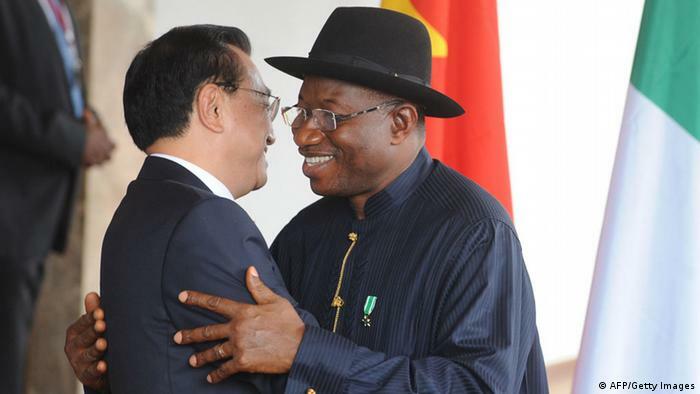 Some also suspect President Jonathan's political opponents in the north east are working with Boko Haram. In the past few weeks such accusations have been running rife. For Abdu, the answer is simple: "Even if politicians are arranging such a thing, the military, the intelligence committee, should be able to find that out and actually stop it. Unless, of course, the government does not have complete control over the military and the region." And that, Abdu says "is an indictment of your leadership."